Winter slows down everything in the garden, including the compost. Short, cold days change the conditions in your compost pile, bringing the decomposition is almost a halt. 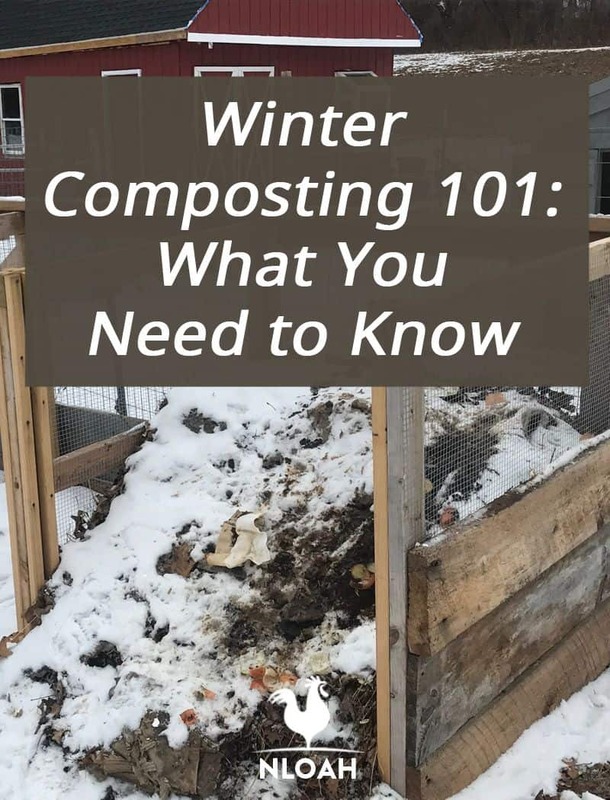 It doesn’t have to come to a complete stop though; winter composting is very possible with the right techniques. Now is not the time to through in the shovel just because some snow fell over your compost. You have to learn the ins and outs of winter composting, and you’ll find that you can still keep it going. After all, just because winter is here doesn’t mean your kitchen scraps stop as well. You have compostable materials available, so the benefits of composting don’t come to an end because the temperatures dropped. So, are you ready to start winter composting? Here is what you need to know. By definition, composting is the biological process that decomposes organic material under the right conditions. Composting speeds up that natural process by creating the right conditions for the materials to break down faster. So, that means composting happens whether we try to do so or not, but it does make it speed up the process. The bacteria in the compost pile heats up as they eat, which is a process called oxidation. Compost piles need nitrogen (called green materials) and carbon (called brown materials) materials to break down. Carbon-rich materials give the bacteria energy, which the nitrogen-rich materials help the bacteria grow strong and reproduce. Are you wondering why this matters? Trust me; it does. Winter composting is a different beast than composting during the warmer months. In winter, you want to snuggle down with a warm cup of tea and a good book. Bacteria also wants to go into a slow, hibernation mode as well. The warmer outside temperatures in late spring, summer, and fall stimulate the bacteria and help to speed up the decomposition process. Low winter temperatures slow the process down, but it will resume its regular speed once air temperatures increase. That doesn’t mean its pointless to compost in the winter! Microbes can remain active in the compost pile because the center of the pile is warm and actively composting. The outer layers are what tend to be more vulnerable to the daily highs and lows. With the right amount of air and water, along with the proper materials, winter composting is possible, but you need the right tips first! One of the biggest problems you’ll face is water. Your compost needs water, but winter, with the snow and ice, brings an abundance of water that can create a disaster zone for your compost. Your goal needs to be to protect your compost from the moisture, letting you decide how much it needs or doesn’t need. Here are some ways you might want to try to protect the compost pile. Look at your compost’s location and decide if creating a roof over it is possible. A roof performs the necessary function and protects your compost pile from unwanted precipitation. If you put your car in a carport, it doesn’t tend to have as much frost on it in the morning than the cars just parked right in the driveway. Providing some type of protection by blocking your compost pile in keeps the elements away from it. For example, creating a cinder block structure around the pile will help to maintain the internal temperature. You can put a piece of wood over the top of the structure to stop snow from coming into the compost pile. Planning ahead is a good idea. You can make your pile rather large-sized to help with the composting process throughout the winter season. Volume is a factor in retaining compost pile heat, and the recommended size is at least one cubic yard. One of the easiest solutions is just to add a tarp over the top of the compost pile. It keeps away unwanted precipitation, but it also helps to maintain the internal temperature inside of the pile. A tarp traps the heat right where you want it – in your compost pile. Now that you figured out how to monitor and control the moisture level in your compost, you need to insulate it. Even in the coldest weather, it’s important that the microbes in the compost stay active, which means they need to be warm. The first thing you should do is empty or take out at least half of your compost from the bins before the beginning of winter. Use the compost in your garden, or you can store it in a container with a lid for spring use. Doing so creates extra space for the new compost materials in the winter. Use packed leaf bags as insulation around your pile. Insulate the sides and top of your compost bin with hay or straw bales. Create a cardboard and insulation sandwich. To do this, line the sides of your compost bin with a layer of cardboard. Then, put a layer of home insulation around the sides. Use another layer of cardboard to hold home insulation in place. Use a snow cover. As weird as it might sound, snow can be used properly for a cover and to insulate. As it melts, it will add moisture to your pile. All you have to do is create walls of snow around your compost bin. If you can move the compost, put it in an area that receives daily sunlight for several hours. Make sure you’re realistic about the area. Do you really want to walk to the back of your yard in the winter to dump veggie scraps? Now it’s time to rebuild. 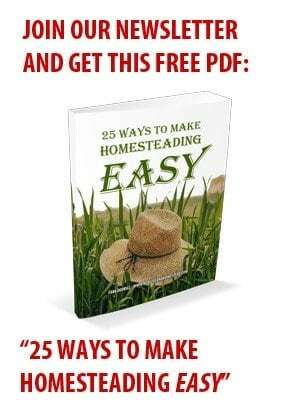 Start with a layer of leaves, straw, cardboard, or sawdust. The active part needs to go in the middle, then cover it with more brown material to help insulate the active compost. Every composter needs to understand what you can and cannot compost, and this is particularly important in the winter when everything is broken down much slower. The list of what you can’t compost is smaller than what you can, thankfully. That makes it easier! Now that you know what you need to add to your compost, it’s your job to create a delicate balance between green and brown materials. If you add too many brown materials, it’ll rapidly slow down the decomposition process. Too many green materials can cause a stinky compost pile, and who wants that? Brown materials can be difficult in the winter when everything is covered snow. That’s why it’s a smart idea to collect all the leaves that you can in the fall. You can bulk up the inside of your compost pile with leaves because they leave a lot of air space. Think of it like the feathers in a down pillow; they add insulation and allows for oxidation. Remember that you need slightly more brown material in your compost to balance out the nitrogen-rich materials. Vermicomposting, another name for worm composting, is an alternative for winter composting. Worms eat the waste that you put into the compost, turning it into dark, rich soil just like you’d get in a traditional compost pile. You can make easy vermicomposting bins out of storage containers. The awesome thing about vermicomposting is that you can easily bring the bins inside if the weather is too cold for you. Bins can be stored under your kitchen sink or in your basement. They can be out of sight and out of mind. Now that you have the basics down, it’s time to take care of the winter compost, which is very easy. The only difference between a winter compost and a warmer compost is that you don’t need to turn it as much. Turning allows heat to escape, and you need the heat to encourage the decomposition process. So, try to turn it as minimally as possible. Depending on your location, low humidity and winter winds can cause your compost pile to dry out. In those conditions, you will need to water very sparingly on a day when the temperatures won’t cause it to freeze fast. Add green kitchen scraps to your pile during winter in large quantities. Collect everything in a bucket through the week. You also can add finished chicken or steer manure, blood meal, or other high nitrogen amendments to keep the temperature up and the microbe activity. When spring starts and the moisture increases from all that spring rain, there is a chance you might notice some stink. If so, add more brown material, such as leaves from the fall if you saved them, or dry sawdust. Always make sure your scraps and compost materials are finely chopped. Try to avoid rinds or things that don’t break down as easily. In the winter, animals are looking for warmth and food. Guess what has both of those things? You guessed it – your compost! Compost piles are warm and infrequently disturbed, so that makes them a great home for mice, rats, and other unwanted pests. The food waste you add to your pile over the winter takes longer to break down, so it can become a food source for local wildlife. Look for possible entrances and block them off. Add a screen barrier above your compost piles top layer. You can make a frame with chicken wire or a door on top with wire that’s on a hinge for easy access for you but not pests. Add some spiky twigs or bushes around your compost pile to help deter the pests. Turn your compost regularly to disturb the wildlife. Winter composting doesn’t have to be too complicated. Luckily, if you mess it up, all you have to do is wait for springtime and your compost will come alive again. Watch for a stinky compost in the spring, which means you need more carbon materials. A balance of moisture, insulation, air circulation, and the right materials will keep your compost going all winter long. Then, come springtime, you’ll have fresh compost to lay in your new garden beds.